To celebrate the anniversary of Princess Celestia's first raising of the sun, Twilight Sparkle organises a stage play. 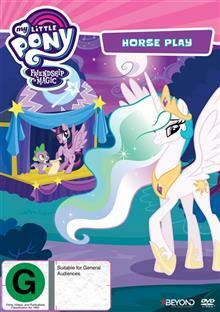 Twilight casts Celestia as the leading role when she learns that of Celestia's love of the theater. News spreads across Equestria but much to the dismay of Twili... read full description below.